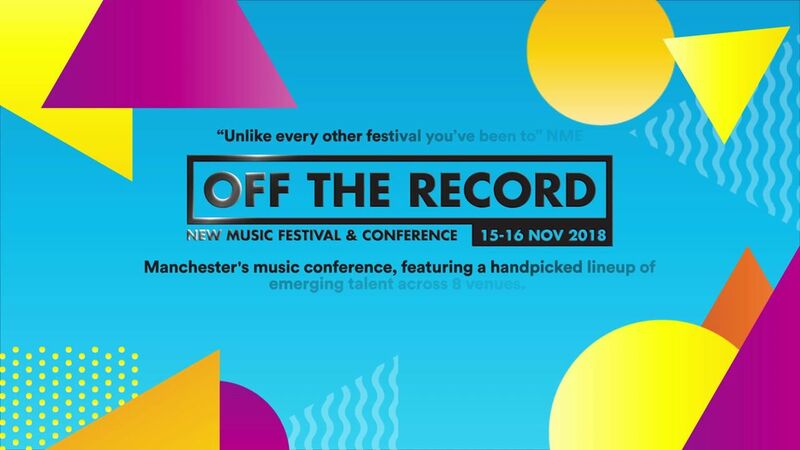 Off The Record is the event for people who love new music. It is a wonderful combination of lecture series, live gigs, networking, and being in the company of people who share the same feelings as you. It doesn’t matter if you view music as a career choice, a hobby, or a lifeblood, there will be something for you at this event. I would always recommend getting a ticket for the talks as well as for the gigs too because there is such variety on the panels that you will be guaranteed to find things to your interest regardless of what fields concern you. And it is always interesting when people talk about subjects they love – which everybody will do. The live music element of the festival is going to get your pulse racing as a wide variety of acts play in some of the best small venues that Manchester has to offer. You might not have heard of those bands right now, but a quick glance at last year’s festival gif brought up Queen Zee, Bang Bang Romeo, and The Blinders. You’re going to end up loving the bands that play, so make sure you get ahead of the game. Obviously, Popped Music are going to offer you a few suggestions of bands you should take in. This is one day when you should not get yourself comfortable at a stage and stay there throughout. The men in black have been on the Liverpool circuit for a while now, but with a debut album on the horizon these mariachi rock n rollers have moved up a few grades playing sell out shows up and down the country. Stylish, fun and ready to take on all comers, Red Rum Club might become your favourite new band if you give them a chance. Having seen Chappaqua Wrestling recently during their tour with The Night Café, I can comfortably support spending some time watching these guys perform. At first glance they might come across as a safe option, there is a wonderful simplicity in their music and it allows you to listen with pleasure. If smooth, seductive soulful tones that you can throw a few shapes to are to your taste, then you must make sure that you take in Olivia Nelson. Check out tracks such as ‘Up All Night’ and ‘Never Too Late’ beforehand as you will be sticking them on your favourite playlist so that you can listen to them regularly. This could be the artist that you talk about seeing in a small venue before everybody else over the next few years. Winner every day of the band name most likely to make me giggle, this Chester three-piece are a real rock rock tour de force, the kind of band that you will watch over and over again. Balancing scuzz and thunder with a sense of fun they are guaranteed to provide one of the most pleasurable musical experiences on offer. If you are going as well make sure you catch up with the team from Popped Music. Say hello, give us your recommendations, and just talk about new music and the bands you have seen recently. ← Just Listen: The Van T’s – Suis-Je Cool?